Our customers have no problem grasping the concept that when you collect rainwater, quality must be evaluated, not just quantity. Applications such as drinking water and vegetable gardening require the highest quality possible. Whereas if the rain is for flushing toilets, almost any level will do. Yet the entire rainwater harvesting industry is geared toward roof based rainwater collection. Roofs have been proven to add contaminants (see this industry study). So how does the rainwater harvesting industry respond? By promoting first flush devices, lots of filtration, and some high capacity pumps to get the filtered water from A to B. Logical yet expensive. We don't fault the industry for sticking to the roof. It's the way humans have been collecting rainwater for 4,000 years. Roofs generate hundreds of gallons of water every time it rains. And it's right there for homeowners to take advantage of. But let's face it: you're choosing quantity over quality based on the assumption that the homeowner has the budget to get to the desired quality if they need it. In our view, landscaping is the killer application for roof based collection because lawns and bushes are probably hearty enough to survive the contaminants contained in unfiltered roof run off. 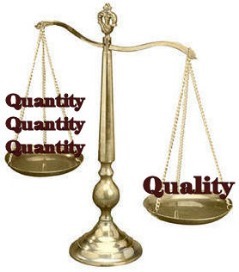 But for any plants that you're going to eat or if there is any chance the water will be consumed by human or animal, quality really is more important than quantity. And that's our speciality: the highest possible quality catch of rainwater.